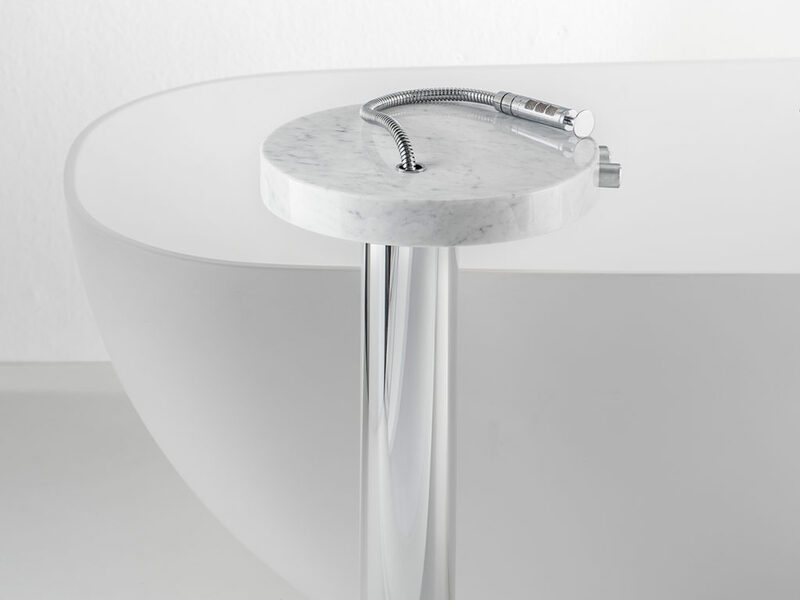 Committed to creating elements that bring the organic beauty, versatility, complexity and utility of water into the home, Aquabrass – a Canadian bath and kitchen fixtures manufacturer – debuts the MARMO collection in collaboration with Italian designers Antonio Gardoni and Federico Castelli. 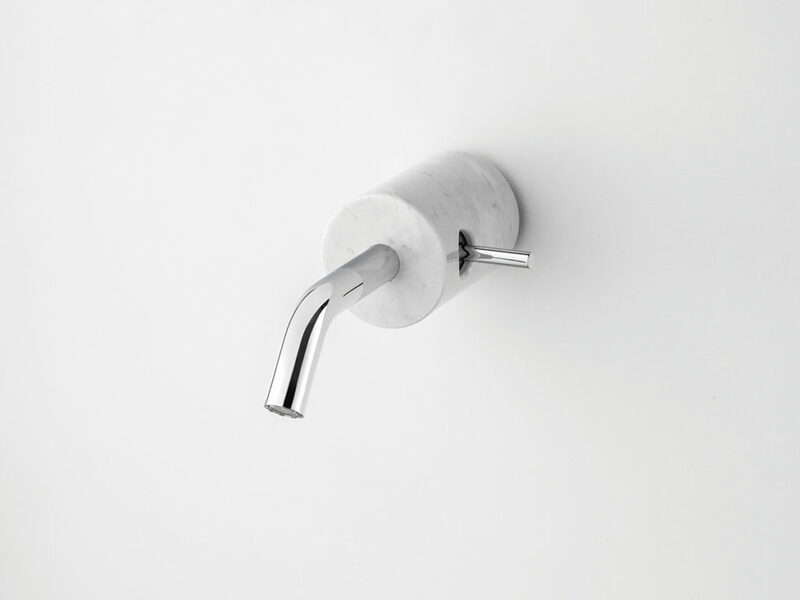 The MARMO collection, celebrates the elegance and intricacies of marble. 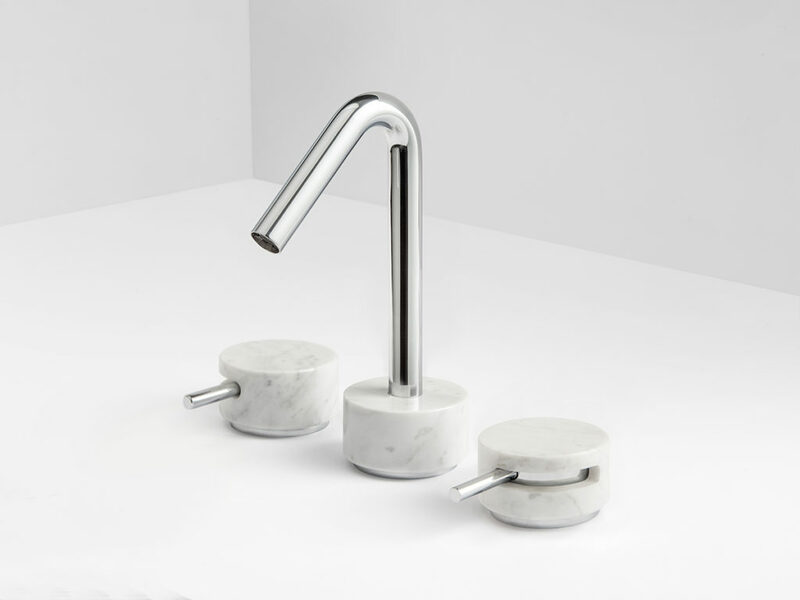 Sourced from Italian and Spanish quarries, skilled artisans interpreted the natural marble material through a contemporary vision, integrating a structural, patent-pending manufacturing process that conceals the faucet mechanism within the marble encasing. 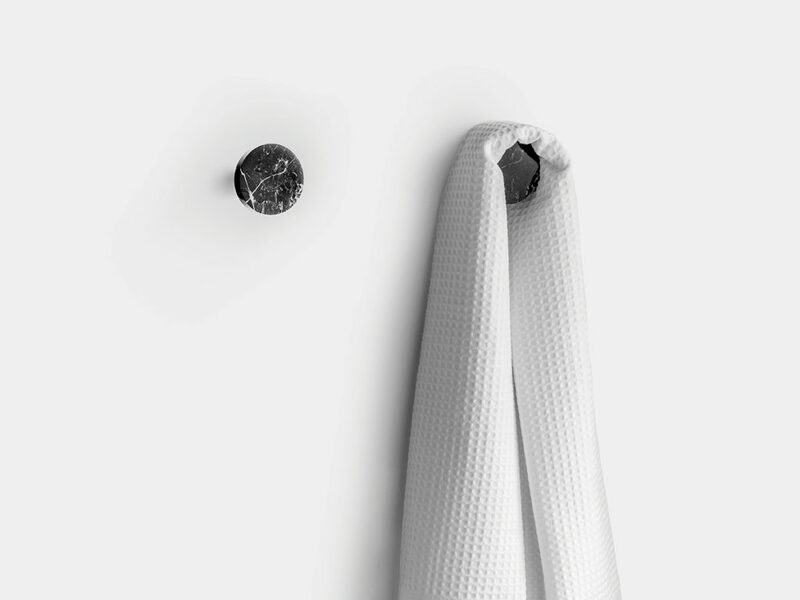 The end result is a seamlessly refined and timeless design. 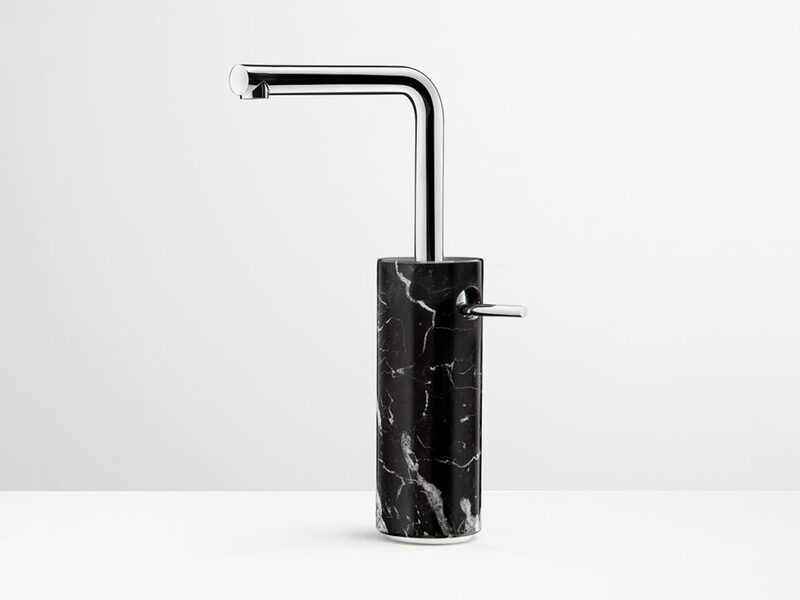 MARMO will be the first collection introduced into the new Aquabrass Black Series line, an exclusive program offering high-end designer fixture collections available through a select network of North American authorized dealers. Marquina). 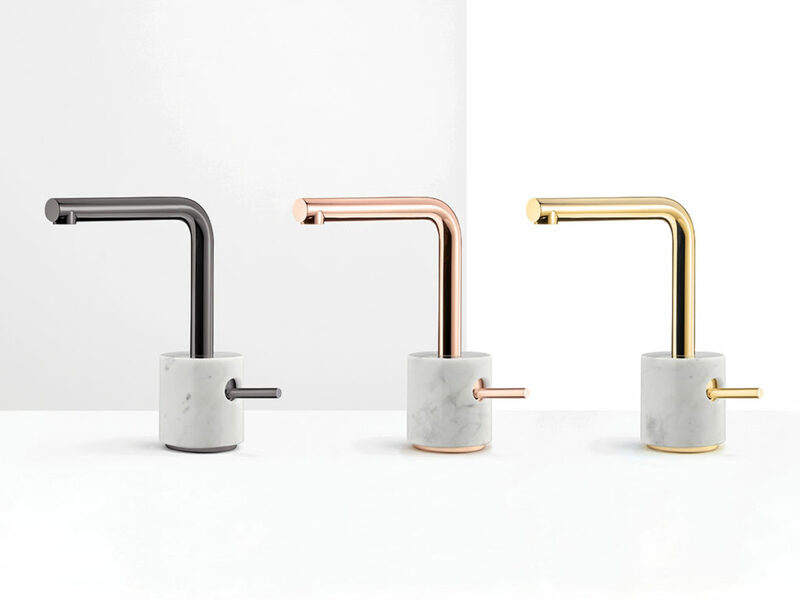 In addition to standard polished chrome, 16 custom plating finishes ranging from sparkling rose gold to black nickel are available, all of which are produced on-site at Aquabrass’s Montreal facility. 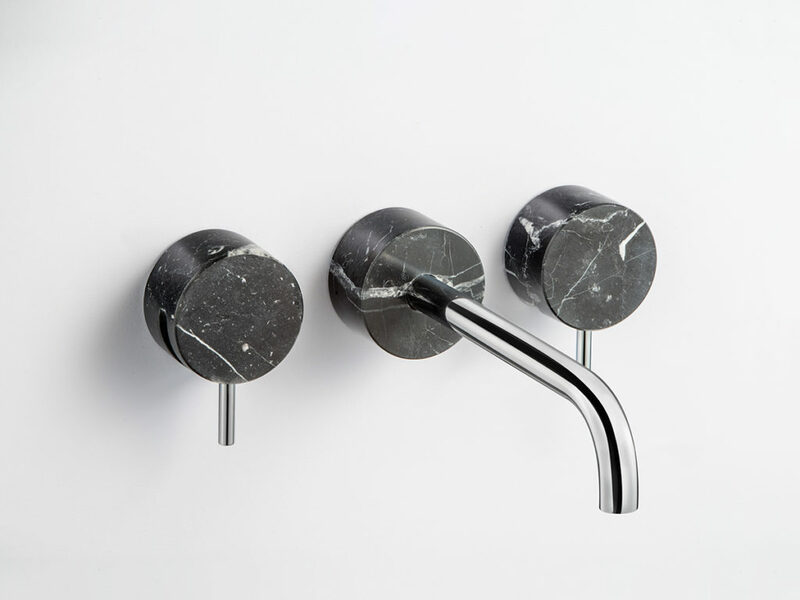 Additionally, two spout options have been offered for select models: curved for a contemporary appearance and an L-shaped spout for an urban feel. 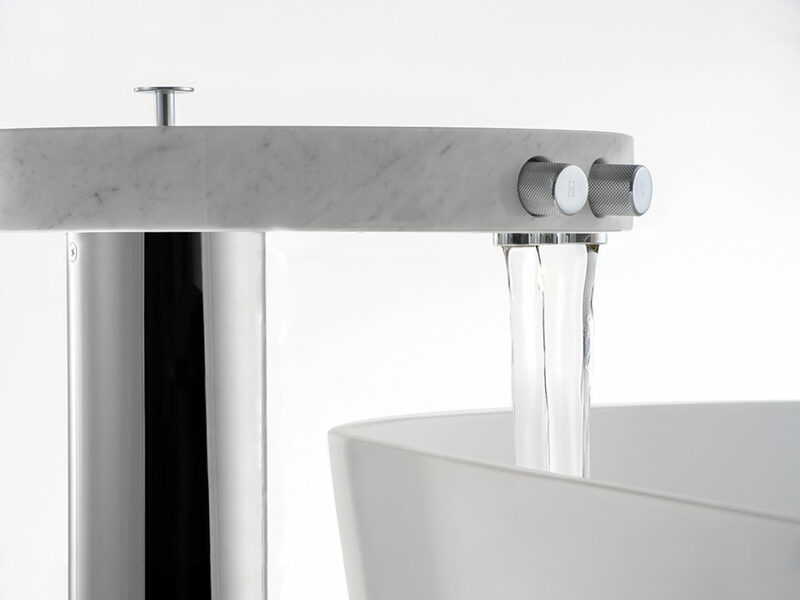 ABOUT AQUABRASS: Founded in 1986, Aquabrass is a North American designer and manufacturer of high-end bathroom and kitchen fixtures. Headquartered in Montreal, the company’s presence spans across North America with plans to expand internationally in the coming years. Aquabrass manufactures quality, high-performing bathroom and kitchen products, including a wide range of faucet collections, full-body shower systems with steam, chromatherapy and aromatherapy, free-standing bathtubs, sinks, vanities, washbasins and accessories.